We reset the IMC voltage back to Auto and changed the CPU Core Voltage from a fixed value to an offset value. 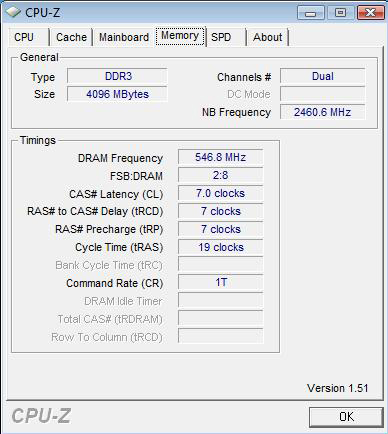 This means that the motherboard uses the regular dynamic voltage setting plus an amount that we choose in the Bios. We selected +0.2V and found that our Core i7 870 would run most of our benchmark tests at 3.96GHz with Turbo Boost and HT enabled. We got better results by disabling Turbo Boost which makes sense as 3.96GHz is way beyond the realms of the maximum 3.6GHz Turbo Boost speed that applies with this CPU. In addition, it was clear that the stock Intel CPU cooler was at the limit of its performance. By this stage, we also had a sample of a 2.66GHz Core i5 750 so we strapped it to the Asus on the same +0.2V setting and found it would overclock to 3.8GHz. The absence of HyperThreading was apparent in Cinebench, but there's no denying this an impressive turn of speed. 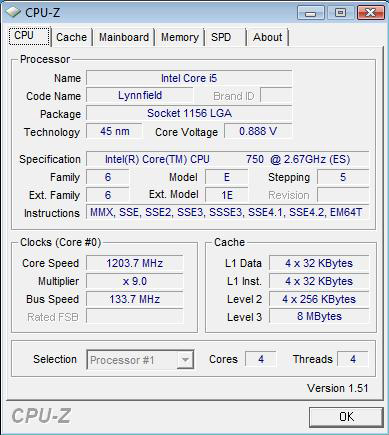 It also suggests that Lynnfield has the same 1GHz potential for overclocking as the i7 900. With this information we returned to the Gigabyte and tried to use the same method for overclocking but it was not possible. In the Gigabyte Bios, you either set the CPU Core voltage as Auto or as a fixed value, but it does not offer the option applying an offset that delivered the results on the Asus board. We don’t want to write off the GA-P55M-UD4 as it was clearly using a Beta Bios, but this is certainly something that overclockers should watch for once Lynnfield goes on sale.